Photographer’s notes: There were a few times when talking to the para-cyclists that conversation turned to speed, performance, personal bests and the like. I will return to it with another rider soon. But I saw one of the sleek hand-powered cyclists a few months ago. He was coming at me and I saw a low-flying blip that shot past. I had turned around to chase and have a chat, but by the time I got some speed, the para-cyclist was a distant speck on the horizon. 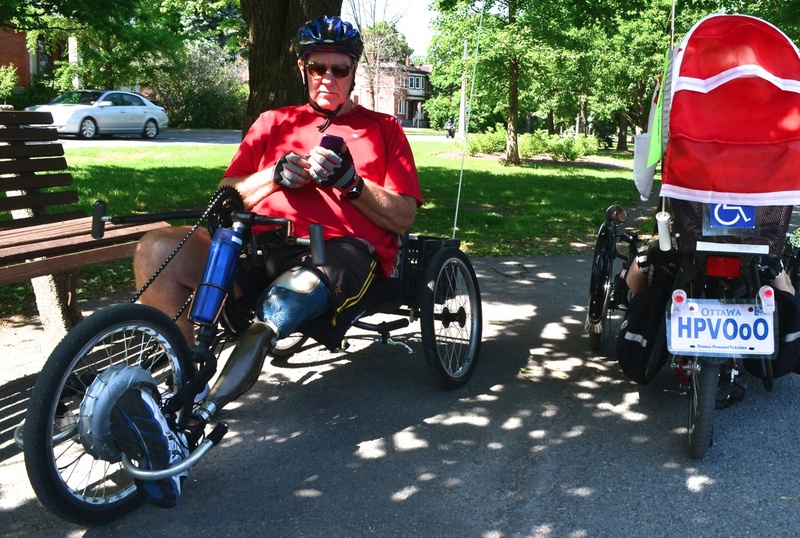 This entry was posted in commuter, injury, North America, paracyclist, recumbent and tagged 2015, Canada, Ontario, Ottawa, September. Bookmark the permalink.